Charles L. “Chuck” Stewart, age 93, passed away on Wednesday, November 21, 2018. He was born at home at 616 Michigan Avenue in Gladstone on January 11, 1925. His parents, Dr. D.D. Stewart, D.D.S and Irene (Brown) Stewart were children of pioneer Gladstone residents. 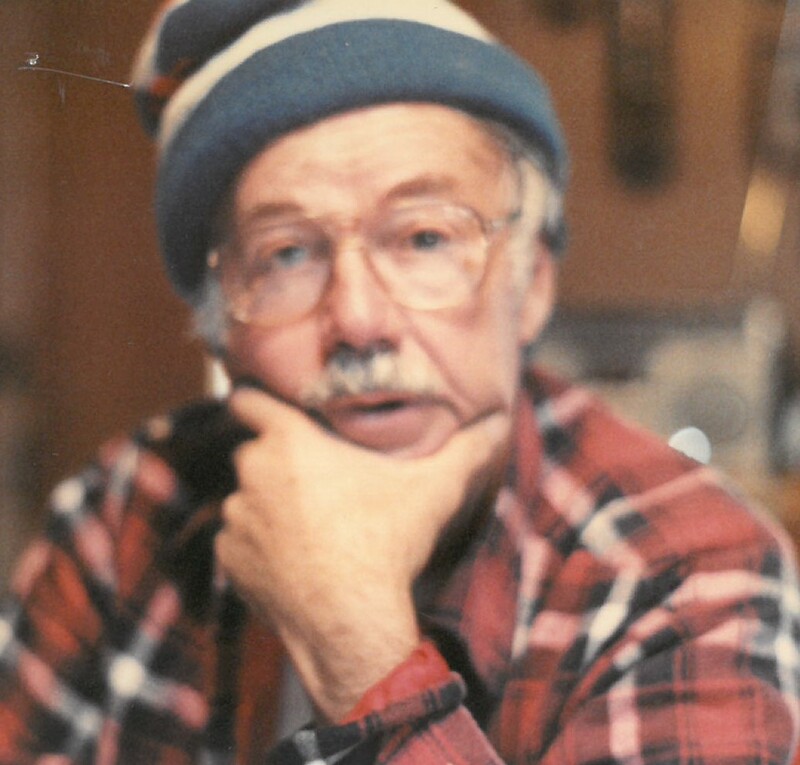 Chuck graduated from Gladstone High School in 1942 and traveled to Lower Michigan were he enrolled at Cassady Lake Tech at Chelsea where he studied to be a machinist. As World War II was raging Chuck enlisted in the U.S. Army. After serving two years in the South Pacific as a Combat Infantryman he received an honorable discharge. He then enrolled at Michigan State College and graduated in 1950 with a dual degree in Business Administration and Science. He then traveled to Milwaukee, Wisconsin and was employed in sales promotion. He resigned from Standard Oil Industry and was hired by Dun and Bradstreet in their credit and finance department. With a move to Los Angeles he joined a subsidiary of All State Insurance in their underwriting department. Returning to the Gladstone area in 1958 he was employed by the United States Post Office until retiring in 1985. Chuck met Christine Brown in Milwaukee and married his loving and beautiful wife in 1952 and they remained together until her death in 2008. They had four children, Chuck, Jr., Mary, Craig “Sammy” and Mark. Chuck, Jr. was killed in during the Vietnam War on October 31, 1972. Chuck is survived by hs children, Mary, Craig and Mark; four grandchildren, two great grandchildren and his brother, Lt. Colonel Douglas Stewart. Chuck will be laid to rest in the Fernwood Cemetery along side his wife and son. Memorial donations in Chuck’s name may be directed to the Salvation Army. My dad, Franklin “Bud” Brown, and Chuck were cousins. I feel like I’ve lost the last connection to my father. Thank you Chuck for being a source of stories from the past. Please accept my sincere sympathy to Chuck’s family. I am the sister of a Ranger, Garness Colden, who was in the Army with your Dad-during World War II. My brother climbed Pointe Du Hoc on D-Day. Many years ago your Dad mailed pictures which included my brother and other Army buddies to the Postmaster in my hometown. These pictures were delivered to me along with Chuck’s address and from that time forward, we have kept in contact through letters, phone calls and visits to his home in Gladstone. My first meeting in person with him was during an appointment he had at the Veteran’s Hospital in Madison, WI. where I was currently living. While we both enjoyed our visits over the phone, he especially enjoyed the phone calls each January 11th, wishing him a Happy Birthday! When I did not receive a Christmas card from him this year, I became concerned and made a phone call to his home. When the call was not answered, I went on line, researching the possibility of learning anything that could give me information regarding him. Sadly, I found the obituary letting me know Chuck passed away this past November. I am feeling such a void in my heart as I was very fond of him and enjoyed his company. He always talked about your Mother, missing her so much. He also shared many memories of things he knew about my brother, telling me what a good guy he was. I was only 6 months old at the time of my brother’s death in December 1944, in Hurtegan Forest and I appreciated hearing first-hand the many stories your Dad shared with me. I will miss Chuck terribly as he was a wonderful person to me. I pray he is at peace and in Heaven with your Mom and brother.